It appears that Colorado oil and gas lobbyists are back to playing their old games of lies and misinformation. Monday, the industry-sponsored, blatantly anti-science group Energy in Depth (EID) put out new propaganda in an attempt to distract from the truth of how damaging oil and gas operations are to western air quality. In an interesting twist, EID’s Simon Lomax chose to attack Denver Post environmental reporter Bruce Finley as a means of casting doubt on the studies and data Finley references in his stories. Lomox spent a great deal of time and a lot of column inches cherrypicking to try and refute the negative effects of oil and gas drilling pollution on air quality. Our favorite line here at C&BP is when Lomax blames trees for smog. EID is a front group that was launched in 2009 by the Independent Petroleum Association of America (IPAA) – a.k.a the natural gas lobby. It has a team that works in various energy producing states where citizens are rightly concerned about the impacts of oil and gas to clean air, clean water, and property values. It was disappointing to see that Colorado Oil and Gas Association (COGA) CEO Tisha Schuller decided to insert her group into the theatrics. It was just over a month ago that Schuller began her “charm offensive,” announcing that she would tour Colorado in an attempt to depolarize the debate around drilling and fracking near communities. One way for her to do that would be to publicly distance herself and her organization from disinformation producers like EID. Instead, COGA retweeted EID’s claims. Speaking of claims, here are a few other facts regarding fracking and air quality that EID would much rather the public wasn’t aware of. CU’s Colorado School of Public Health determined that residents living within one half mile of natural gas wells are at greater risk for potential health problems. The EPA has found emissions from drilling, including fracking, and leaks from transmission pipes, totaled 225 million metric tons of carbon-dioxide equivalents during 2011, second only to power plants. Fracked wells leaked 40 to 60 percent more methane than conventional natural gas wells. Front groups like EID detract from the real conversation around fracking and drilling in the west. Unfortunately, it seems as if industry is turning to them out of fear, as more western communities move to install common sense protections for their residents. If people like COGA’s Tisha Schuller really want to have a depolarized conversation, they need to publicly distance themselves from groups like EID. Instead, Schuller is doing what every other mouthpiece for Big Oil does, spreading lies and misinformation so that the oil and gas companies she represents can continue to pollute. Recently, Gov. Hickenlooper put on a masterful show of playing a politician who cares about Coloradans. Unfortunately, it was just an act to distract from the fact that Gov. Hickenlooper successfully killed efforts to set mandatory minimum fines and increase caps on fines for oil and gas companies that pollute. After killing these measures, aimed at holding polluters accountable, Gov. Hickenlooper put out a press release ordering his oil and gas commission to ‘review enforcement, fines.’ In other words, he directed his commission to take a look into their abysmal record and get back to him. That’s not leadership, it was an empty gesture to cover his tracks. Gov. Hickenlooper’s press release doesn’t do anything to strengthen Colorado’s woefully outdated laws, which include the lowest fines in the nation for polluters. And it’s doubtful that the governor’s oil and gas commission, which includes oil and gas industry employees, will suddenly become competent at holding oil and gas polluters accountable. An analysis by the Denver Post found that Colorado rarely fines oil and gas companies who pollute. According to the Coloradoan, less than 7 percent of industry violations since 1996 have resulted in fines. Last year, the industry reported 402 spills, of which 20 percent contaminated water. 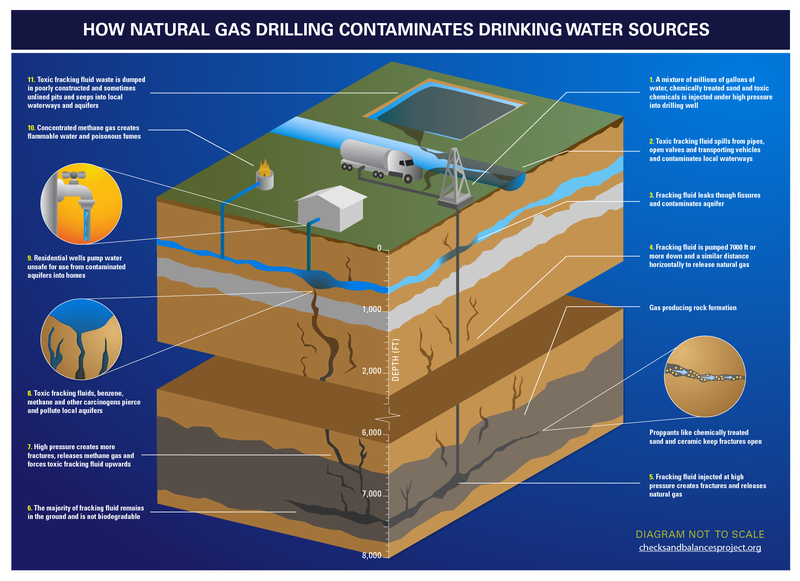 Six companies alone accounted for 85 percent of all the spills that contaminated groundwater – Anadarko, Noble Energy, Encana, PDC Energy, WPX Energy and Pioneer Natural Resources. Not only are polluters not held accountable, but Gov. Hickenlooper has routinely rewarded some of the biggest oil and gas polluters in the state. In 2010 and 2011, Noble Energy caused more spills than any other operator in Colorado – 126. 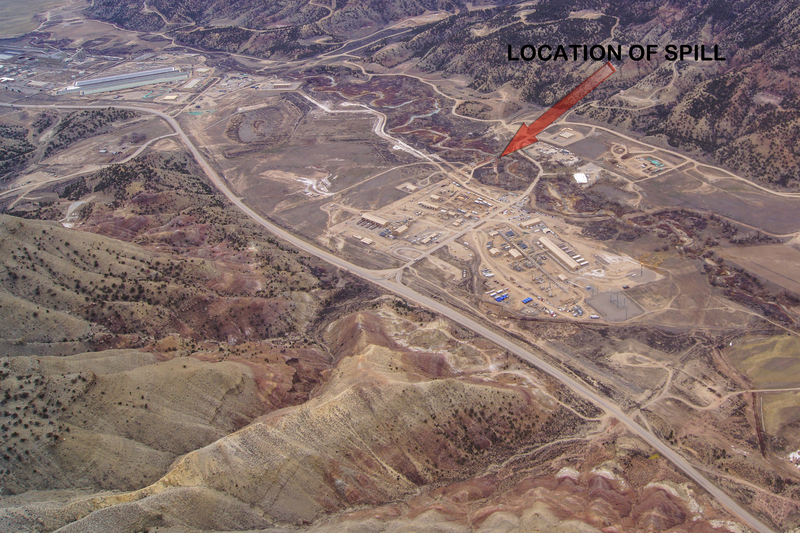 Yet, Hickenlooper’s oil and gas commission gave Noble an ‘Outstanding Operator’ award. Gov. Hickenlooper also gave Anadarko an ‘Outstanding Operator’ award in 2011, while last year, Anadarko subsidy Kerr-McGee was linked to 70 spills – more than any other operator – of which, 38 percent resulted in water contamination. With these awards, Gov. Hickenlooper has once again made it clear that he isn’t that interested in holding oil and gas companies accountable when they pollute. Gov. Hickenlooper used the power of his office to kill stronger standards that would have held the oil and gas industry accountable when they pollute. He chose to put the interests of the industry ahead of what’s best for Colorado families and that’s a shame. Now, Gov. 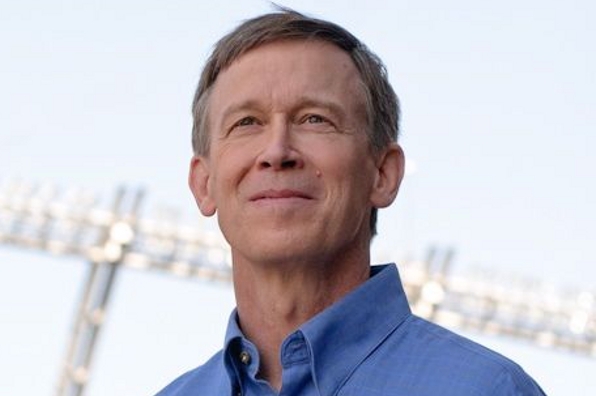 Hickenlooper is insulting Coloradans by acting as the concerned politician. Governor Hickenlooper likes to paint himself as an outsider, unfamiliar with the political process. But his recent actions to undermine public health, water safety – and basic common sense – have proven that Gov. Hickenlooper has become the ultimate insider – adept at helping his billion dollar oil and gas industry boosters cheat the rules, while playing the role of concerned official. While Governor Hickenlooper has said the he’ll increase fines and hold polluters accountable, behind closed doors he’s actually been working hard to kill or weaken legislation aimed at doing just that. Case in point: Governor Hickenlooper announces both his campaign for Colorado to be the healthiest state and safe drinking water week, then days later he successfully killed legislation to help protect water from toxic oil and gas spills. Here’s are the FIVE THINGS Gov. Hickenlooper did to put the public health and water of Coloradans at risk and to make it easier for oil and gas companies to pollute. Issued the weakest water testing rules for oil and gas operations in the nation…with huge carve out for Anadarko and Noble. In January, Governor Hickenlooper’s oil and gas commission put forth weakest in the nation water testing rules –which included the Anadarko-Noble loophole for two of the biggest oil and gas operators in Colorado and Weld County – and two of the state’s biggest oil and gas polluters. The Anadarko-Noble loophole makes it easier for billion dollar oil and gas companies to pollute water in an area in Northern Colorado that’s home to more than 25 percent of Colorado’s oil and gas wells and more than half of the most recent spills reported. The result is that it’ll be harder to detect water contamination and to figure out which well(s) are the source of contamination in the region that needs these public safety standards the most. In 2012, industry reported 402 spills in state, of which 20 percent resulted in water contamination, and just last month, a huge spill near Parachute creek contaminated nearby soil and water with cancer causing benzene. Lobbied against efforts to hold oil and gas companies responsible when they pollute Colorado communities and water with toxins, waste. Governor Hickenlooper sent his lobbyists to the Capitol to weaken fines for oil and gas companies who pollute, despite the fact that Colorado has the lowest in the nation fines and a well-documented problem of spills and water contamination. In 2012, 20 percent of all reported oil and gas spills resulted in water contamination and just six companies were responsible for more than 85 percent of all spills. And the Parachute spill – which has contaminated nearby water and soil with cancer causing benzene is now being investigated by the EPA’s criminal investigations division. Turned down money to increase the number of state oil and gas inspectors. Governor Hickenlooper’s Department of Natural Resources agency joined up with the oil and gas industry in opposition to additional resources to help making oil and gas drilling safer by turning down money to increase the number of inspectors, from sixteen to twenty-four, for the state’s more than 52,000 wells. That’s despite the state already being short-staffed on inspectors. Successfully blocked reform efforts to make the actions of the Colorado oil and gas commission more transparent. Governor Hickenlooper, along with the oil and gas industry, opposed legislation that would have made important systemic changes to Colorado’s oil and gas commission – the Natural Resources Department testified against the bill. Oil and gas companies currently serve on the commission, which regulates their activities, a direct conflict of interest. Worked to defeat public health study to see if fracking is making Coloradans sick. Governor Hickenlooper’s chief of public health and the environment, Dr. Chris Urbina, testified against a health study – supported by local residents and medical professionals – that would help figure out if Coloradans who live near fracking are getting sicker than those who don’t live near fracking.